"Sagal is a very good runner . . . and a very good writer. He is clever, warm, funny and engaging." “The Incomplete Book of Running has been a loyal companion. It’s funny, well written . . . filled with humility and perpetually on the scan for moments of stray grace. . . . I would go for a run with Sagal anytime." "By turns beautiful and moving, and laced with plenty of Sagal’s signature wry humor." "Anyone who’s ever run for fitness, for fun (are there people who do that? 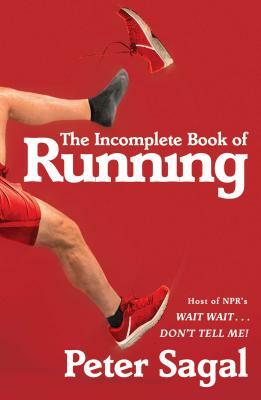 ), for recreation, or to be a better person will appreciate Peter Sagal’s The Incomplete Book of Running. . . . In addition to taking the reader along on some races and training runs, and giving insight into the importance of a supportive running group and good nutrition, Sagal entertains with sprinklings of fascinating research. . . . The book is full of wonderful cultural references, and Sagal is creative in drawing from diverse sources to stitch together his running philosophy."